I have been thinking about setting up an arm of Progressive Travel Recruitment dedicated to executive recruitment for a while. Now that Executive Search by Progressive has launched, let me and my colleague and fellow director, the vastly experienced Fiona Morrison-Arnthal, explain why we’re offering something different: an exclusive executive recruitment service for truly executive-level travel and hospitality jobs. I’d had feedback from candidates who were looking for a recruitment agency that offered a true ‘executive search’ in the travel and hospitality industry. They just couldn’t find what they were looking for. I was repeatedly told of people’s frustration at having to filter through hundreds of jobs to find a handful that met their executive expectations. And at the same time, clients were increasingly approaching us to work on senior vacancies in the global travel and hospitality industry. They recognised our knowledge of the global travel industry is second to none, and that we have the connections to successfully fill the highest-level assignments. So, for us it was a no-brainer, to offer a new dedicated executive recruitment service for solely high-level travel and hospitality jobs. 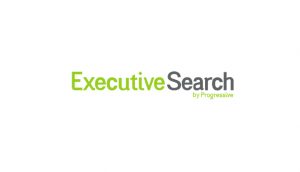 Why is Executive Search by Progressive different? What’s new about this service, is that it really is executive level. We’re talking genuine leadership roles with attractive salary packages; we’re not pretending that roles are executive level when they’re not (which is surprisingly common). We’ve brought together high-level travel and hospitality jobs worldwide, including management and director-level positions with airlines, tour operators, business travel companies, travel technology sectors, online travel companies, hotels, DMCs, airports, and more. It’s a real mix of management and director-level travel jobs and executive hospitality roles. Our specialist executive search division specifically focuses on our areas of expertise in travel and hospitality. It’s our expert knowledge of the travel industry – having all worked to a high level within it – that gives us the edge. We all have great connections and an inside knowledge of the global travel and hospitality industry. I’ve been working across the whole travel and hospitality sector as a recruiter for many years now. My team is a very experienced bunch of recruiters. It just feels like exactly the right time to be putting the executive level jobs into their own branch of the business. We offer an exceptional level of credibility compared to many other executive recruiters, as we have very close workings with directors and business leaders. We are not spring chickens, but seasoned travel recruiters with experience of dealing with CEOs and other C-level roles, and understand the level expected for these positions. Ultimately, with our understanding of this space, we can seamlessly connect candidates to senior positions, anywhere in the world. We now have offices across the world, and recruit globally every day. By following our main brand principals of integrity, professionalism, and approachability, we remain well-connected and knowledgeable in everything we do. 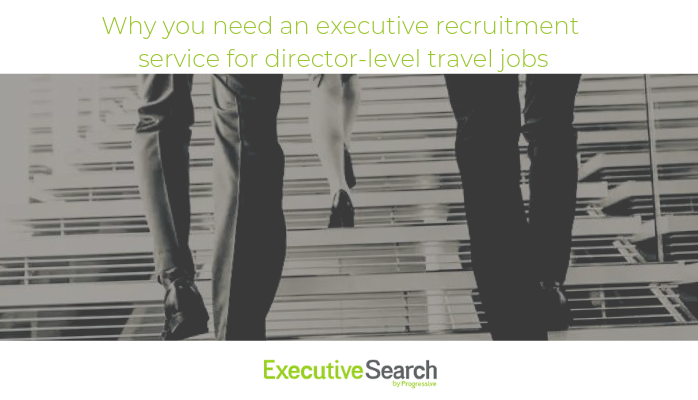 For executive search clients, we can successfully place senior travel candidates into business-critical vacancies. We apply the same level of dedication across Progressive Travel Recruitment, but now, if you’re in the market for executive level positions or candidates, we have a dedicated place to go, and team in place to act to give a thorough and attentive service. Have a browse of our dedicated executive search web pages and vacancies search to get the ball rolling. We’re already placing multiple roles in the £80k+ bracket, so if you need a talented new member of your management team, don’t hesitate to get in touch with our new executive recruitment service. For all Executive Search by Progressive services, contact James Roberts or Fiona Morrison-Arnthal. Find out more on our Executive Search by Progressive webpages.